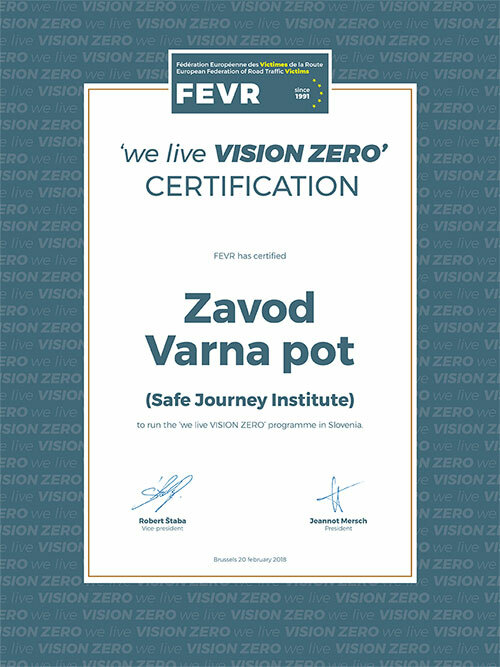 Within the pillars mentioned above we will issue a “we live VISION ZERO Certification” for FEVR member organizations, based on the activities and programs implemented by the organizations, which will authorize them to promote activities for Vision Zero within their countries. 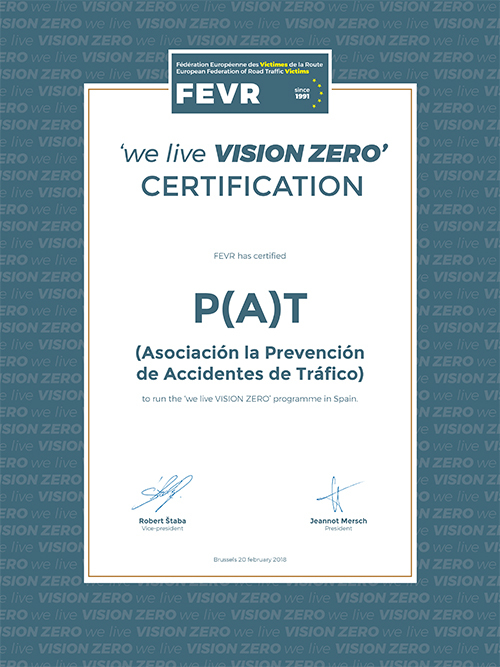 The FEVR certification enables FEVR member organizations to grant a national “we live VISION ZERO Certification” to individuals, companies, educational institutions, state authorities and, NGOs according to the established criteria. FEVR member organization acquires a certification on the basis of an application request, a presentation of activities carried out in accordance with the five basic pillars at a national level. The application request is processed by the FEVR Board, which gives consent to the issuing of the certification, signed by the FEVR President and the FEVR Vice President. A special certification can also be granted to individuals and other organizations by the FEVR President, and FEVR Board.